October 16th is World Spine Day. Each year, people from around the world join together to raise awareness about the importance of spinal health. This event is a regular part of the Bone and Joint Decade’s Action Week. The World Spine Day theme for 2014 is “Straighten Up and Move”. The emphasis is to focus on the importance of proper posture and movement in maintaining good spinal health. 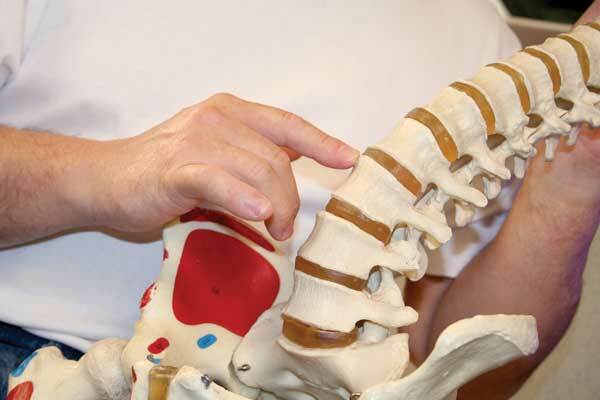 Chiropractors are the recognised experts in these very topics. Spinal disorders, such as back pain, neck pain, degenerative disc disease and scoliosis are common within the population and they can have a profound effect on a person’s overall health. These treatable conditions can impact a person’s ability to work and enjoy everyday activities. They can even disrupt healthy sleep patterns. Most chiropractic patients report that the activities of their daily lives improve under chiropractic care. Research has demonstrated that both poor posture and inactivity can contribute to the development of back pain and other spinal disorders. With their extensive study of spinal anatomy (the structure of the spine) and biomechanics (the proper movement patterns of the spine), chiropractors are the perfect choice for spinal assessments. This year’s World Spine Day theme of “Straighten Up and Move” seems to be an appropriate reminder that all family members should go for a spinal “check-up” to identify any abnormalities in the structure or the movement patterns of their spines. The encouraging news is that many common spinal problems can be easily detected and prevented with regular visits to the chiropractor. To help mark World Spine Day, participating health care providers and organisations around the world will provide important information, tips and tools to help prevent many of these spinal disorders. The chiropractic profession has always been at the forefront of providing information, tips and tools about the prevention of spinal disorders for over 100 years. If you have any questions regarding your family’s spinal health or steps that can be taken to prevent the development or progression of various spinal disorders, your first port-of-call should be your chiropractor. Through their training and clinical experience, chiropractors have earned the distinction of being the recognised specialists in spinal health. No one is too young or too old for a spinal check-up.